I LOVE the bohemian rhapsody, I enjoy Star wars, this combo is superb! Here, this will make sense. 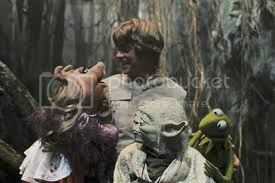 Because who doesn't love Star Wars and Muppets...besides my wife. Hard to beat the original. Hands Oscar the papers needed to file for Divorce. I like Star Wars. I wouldn't say I love it. Sooh...am i going to have to disown you? When's the vote to un-staff you?